Wed, 8:17: An apparently homeless guy did a pirouette backwards half-twist swinging his leg to kick the back of a FOR LICENSED VEHICLES sign and I gave him an 8.3. 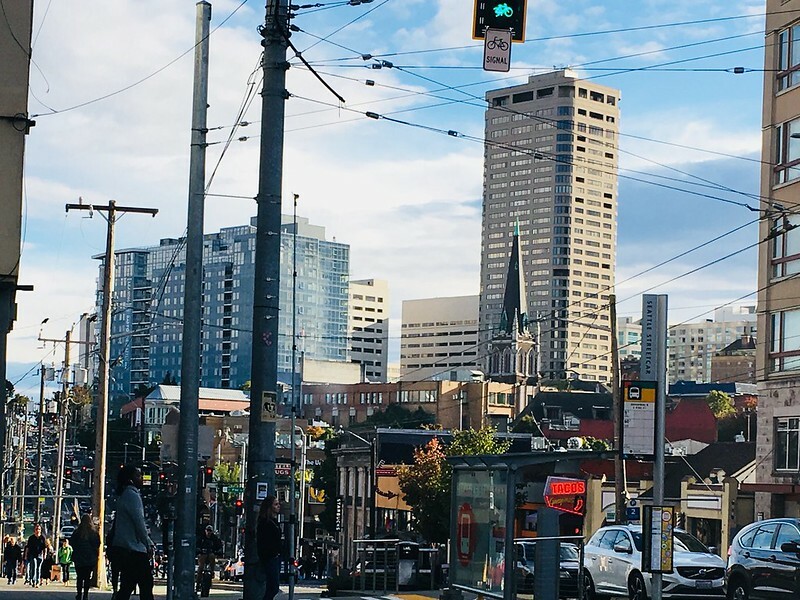 Wed, 18:10: First Hill skyline. First Hill Plaza (1982, 349 ft, 33 floors) remains the tallest building in the city east of I-5. At left: The Danforth Apartments (2018, 175 ft, 16 floors) will have a new Whole Foods as its anchor tenant on the ground floor.